If you’re searching for a seaside break, look no further than Brighton. Described as ‘London by the sea’, Brighton is only 50 minutes outside the hustle bustle of the nation’s capital and a mere 30 minutes from Gatwick airport. 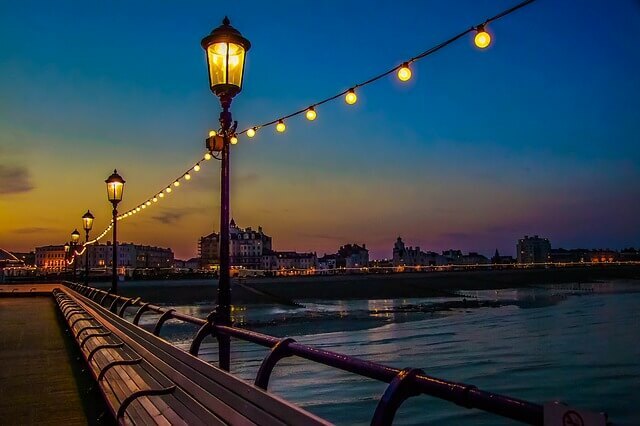 • The seaside resort stands along as the only town in Britain to boast a Grade I-listed pier. Opened in 1866, the West pier was originally built as a promenade with an open deck and a splutter of small buildings before a central bandstand was built in 1875 and a theatre added a decade later. Unfortunately, the West pier now stands derelict, with many renovation proposals being discusses. However, the Grade II-listed Brighton Pier, built in 1899, today stands as a curious hybrid of modern installation in a Victorian shell. On offer are a pleasure park of funfair rides, bars and restaurants, making the location perfect for all ages. • At the Brighton Marina you’ll find the nation’s largest yacht harbor, with 126 acres offering berthing for up to 1300 vessels. There’s opportunities a plenty, including sailing lessons, seas fishing and diving, but if land is more your cup of tea, the marina village hosts an eight-screen cinema, large bowling complex, restaurants, cafes and bars. • The Theatre Royal is is one of the oldest and most distinguished theatres that the country has to offer. It’s located in the city’s cultural quarter and the Grader II-listed building often homes some of the best theatre productions available and has done since 1807. Be sure to check what’s on during your visit and come to be entertained. • For all historians among us, the Booth Museum of Natural History is a must. With more than half a million specimens and natural history literature and data stemming over 300 years, this educational exhibit offers research facilities and children’s activities. • Billed as the UK’s biggest Pride festival, August’s Brighton Pride provides an atmosphere like no other. Take to the streets and soak up the carnival atmosphere with the various parades and village parties – not to mention the pride dog show! Lonely Planet describes to event as one of the best Pride events in the world, so it certainly isn’t to be missed if you want to celebrate the LGBTQ community. • A great way to see all the sites Brighton boasts is to go on a bike tour of the area with Brighton Bike Tours. The fun and informative journey is led by a tour guide who will explain your every move. The groups are kept small and the route isn’t too challenging, making this activity a great way to learn about Brighton on a sunny day.